Youkee was born in Kyoto, Japan. 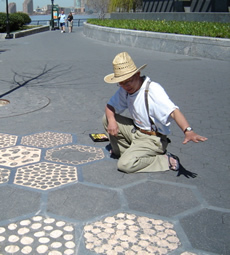 After receiving a law degree from Kwansei Gakuin University, he decided to pursue his true passion - art - which brought him to the United States. He has completed MFA programs in printmaking and lithography at the Otis Art Institute and Cranbrook Academy of Art, and currently lives in New York.